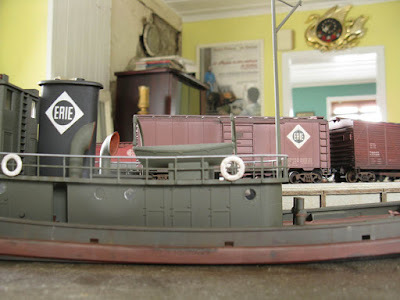 Erie Harlem Station: Nice Boat! 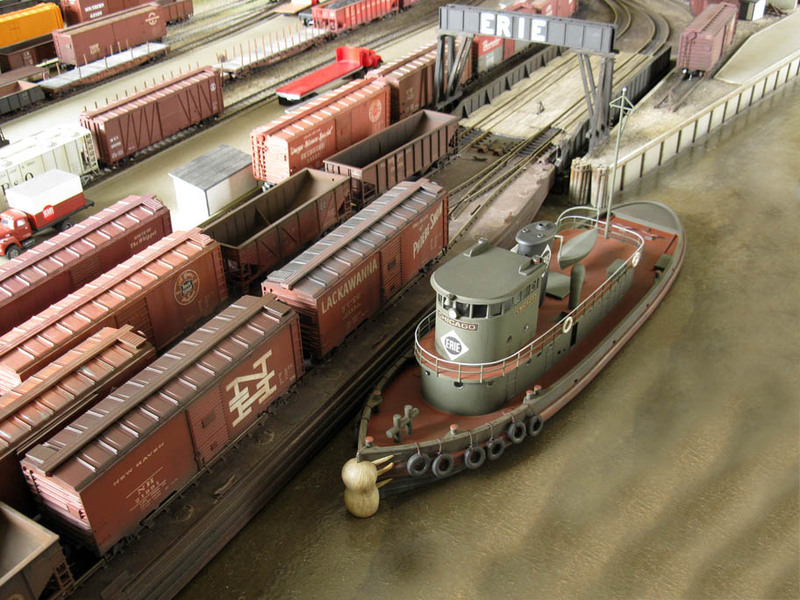 Today Harlem Station reached another historical step in its ongoing history. Adding boats to a marine scene is truly the only way to make it believeable. 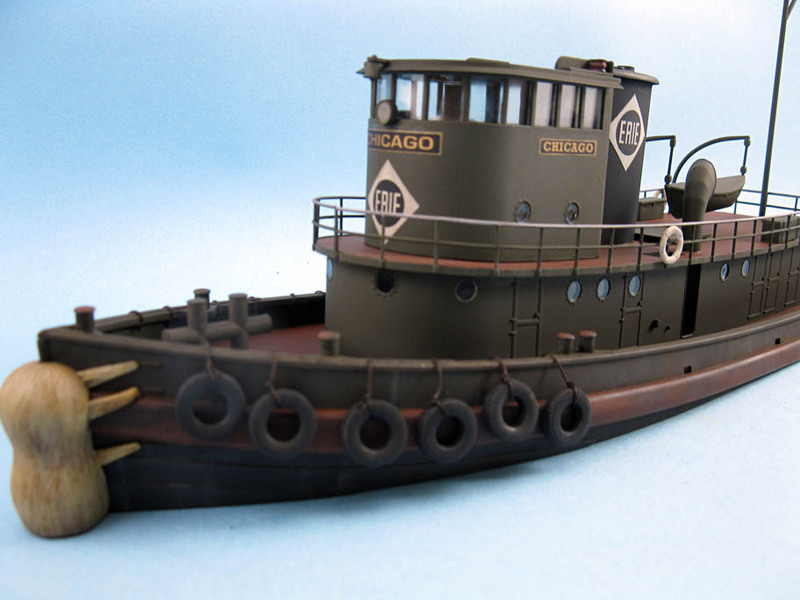 I finally completed the tugboat "Chicago" today by gluing some accessories. 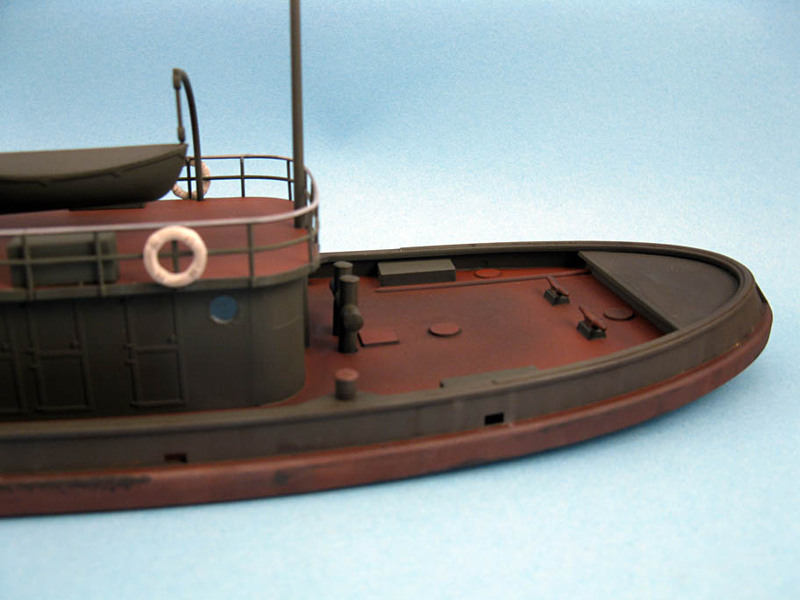 By far, I'm very satisfied by results because there's very little discrepancies with the real prototype. 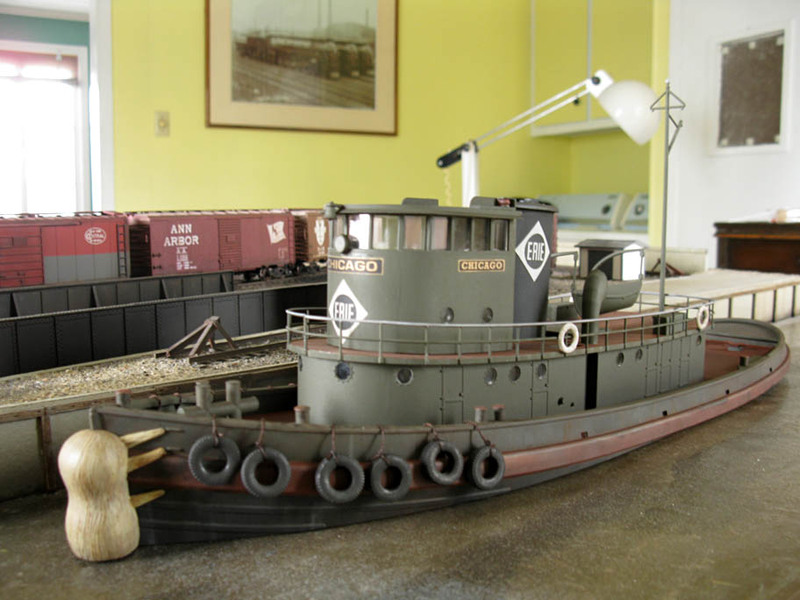 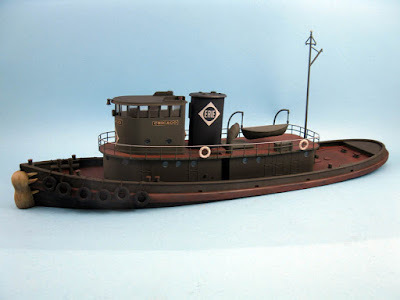 Unfortunatley, I can say the same about my failed attempt to convert the 1:72 Revell Coast Guard Tugboat which could someday end up on another layout or diorama. 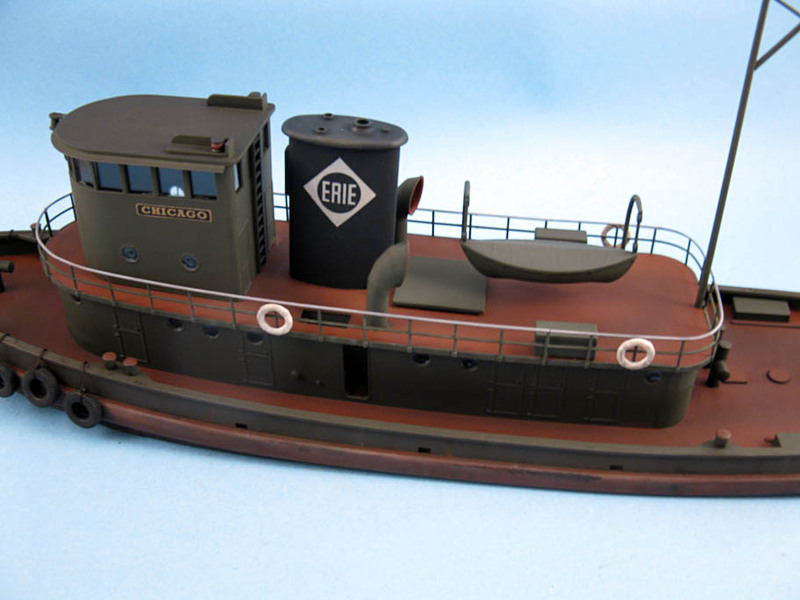 Color pictures of Erie tugboats in the 50s show them quite shiny and well-maintained thus I decided to kept Chicago relatively clean.